The red variety comes from Italy, Synonyms are Bouteillan Noir (there is a French variety of this name), Quagliana, Quagliano Nero, Quaian, Quajan and Qualiano. According to DNA analysis she is a parent of the species Bombino Nero. Impigno and Nero di Troia, The variety was 1876 by Hermann Goethe (1837-1911) in his handbook of ampelography as blue, dichtbeerige Celtertraube described. 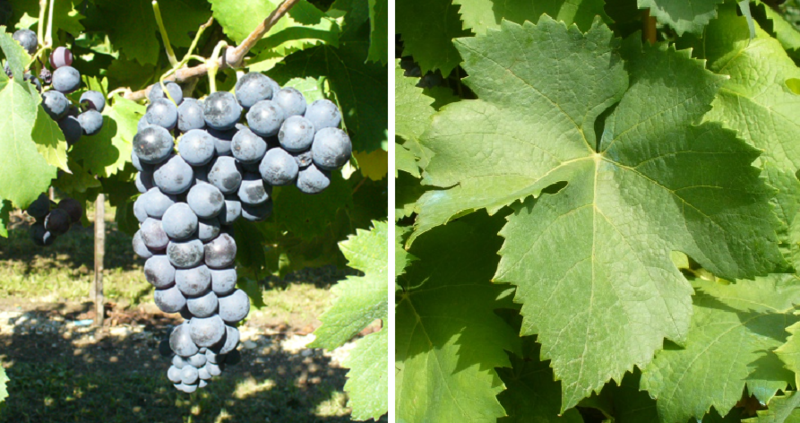 The late-ripening vine is prone to Botrytis, It is exclusively in the province of Cuneo in Piedmont grown and is in DOC wine Colline Saluzzesi authorized. At the end of September, in the town of Costigliole Saluzzo, there is even a folk festival in honor of the variety. In 2010, nine hectares of vineyards were reported (Kym Anderson ). This page was last modified at 17 July 2018 at 10:04.